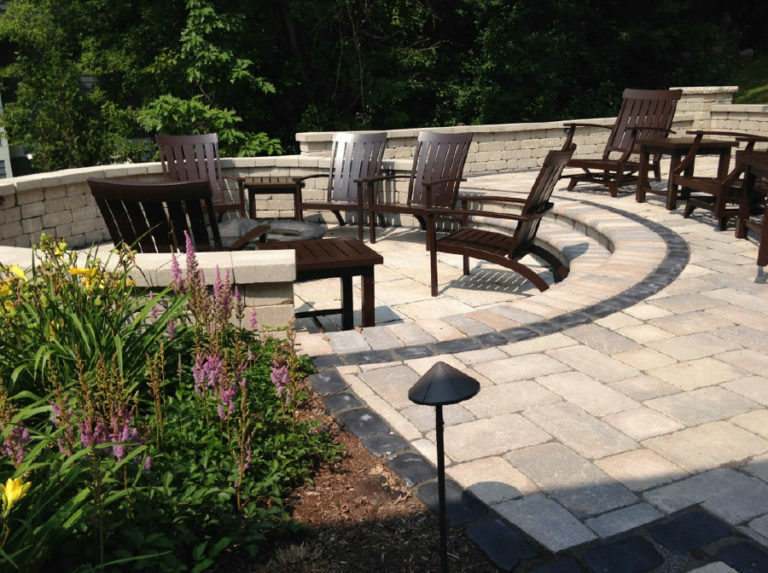 Services: Complete landscape design with a patio viewing area of the lake. 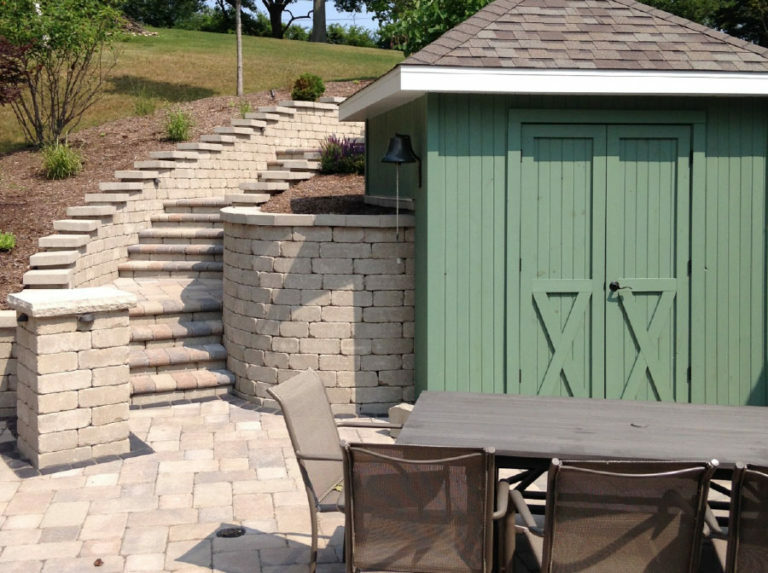 Site Challenges were using the existing steep grades to create outdoor spaces and storage. The use of the existing hill led a great challenge to allowing users to navigate around the property. Installing steps from the upper terrace to the lower terrace created new grand entrances to different sitting areas. 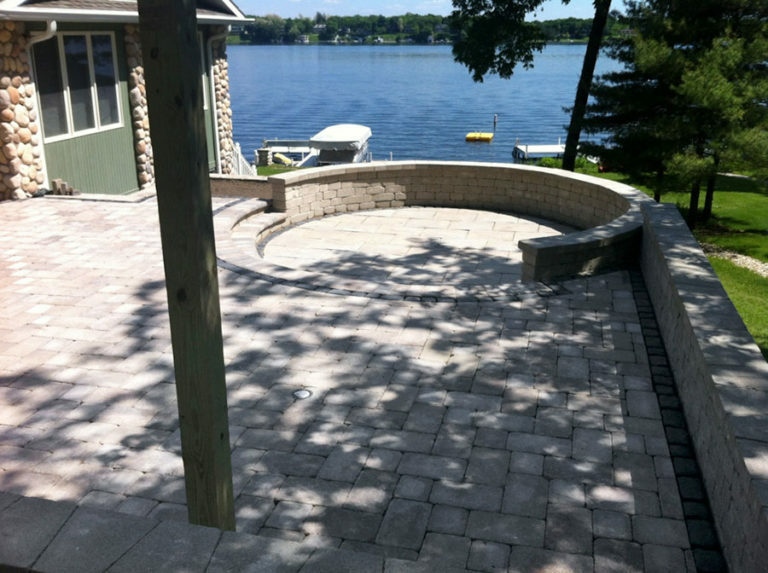 Round sunken area created a great space to view the lake and have an evening fire. Wind was also a concern, so adding a small shed helped keep furniture safe from high winds and storms, while also allowing winter storage.